In an effort to increase the blog’s focus on ecomodding and some of the great content that comes out of our users, I’ve decided to begin a series of posts on an ongoing project coming out of my own garage. The idea of swapping a Honda Insight hybrid drivetrain into my CRX began at this year’s Green Drive Expo, where despite my good mileage I realized I just couldn’t compete with the first generation Insight. 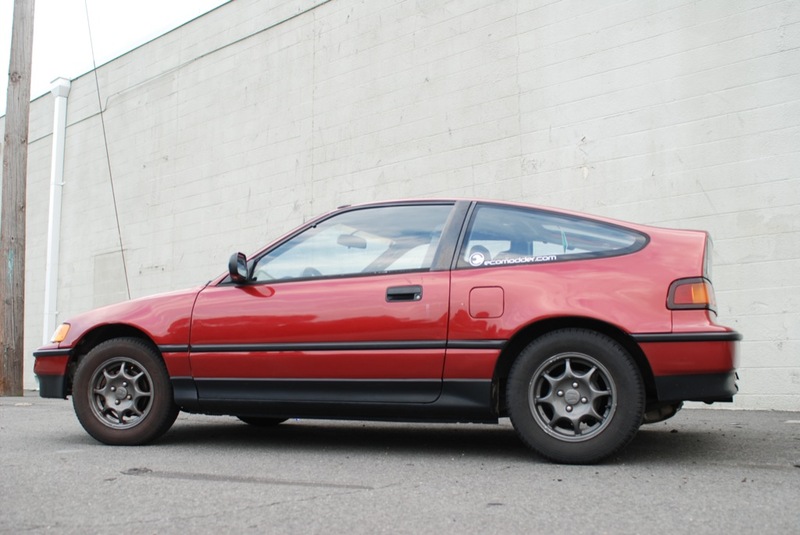 With that in mind I had two options: buy an Insight or ecomod the CRX. Buying an Insight would’ve been easier, but more expensive, less fun, and frankly my CRX is still in great shape. So, I decided to shop around for a totaled I could strip down for parts to recycle into my CRX. Having found one, the swap became just a matter of doing it, which is where I currently am, and that’s where this update comes into play. The swap is half-finished, with all the old having been stripped out with the new ready to go in. However, removing everything is clearly the easy part, with the second half of the project being the troublesome attempts to put things back together and make them play nice with each other. At this point there isn’t much to say, but in the upcoming posts I will take you through how I tackle several problems in making this whole thing come together. To stay up to date on the nitty-gritty, follow along with my project thread on the forums. Great initiative, I hope you will do it. Hybrid cars seem something so SF, but if hobbiists can work on them , and swap engines, I think that is a great thing. 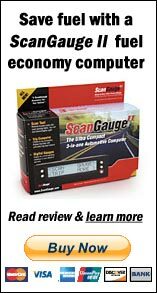 So why do you guys recommend doing potentially really dangerous things to save fuel? For example, you recommend removing mud flaps, but those are actually a safety device? I’d like it if you looked at what is a greater burden on the environment: mud flaps, or destroyed windshields, destroyed cars, and extensive hospital stays for those who get into accidents after their cars’ windshields are destroyed at 90kph. I don’ t own a car and I’m an avid bicyclist, so I have the very serious problem of worrying about getting a rock in my eye or embedded in my face. Hospital stays, eye surgery, and plastic surgery procedures to repair a damaged face are all very hard on the environment. The fossil fuels burned, the plastic consumed, the chemicals manufactured for each procedure are a huge eco burden. Sorry for posting here, but no one got back to me via e-mail. That is a great green project! I have always been a fan of car tuning, yet there was some feeling of guilt as usually the tuning does not make your ride any more environmental-friendly (usually it does the opposite). How is your work on the project, guys? Will there be any updates fo the blog readers with new photos? It is very interesting to see how you’ve been doing on this project.